Sport-related concussion is a brain injury that is prevalent in rugby players. This is likely due to rugby’s violent nature and the lack of protective equipment. The authors in the current study took an interesting look at concussions in rugby by examining the time to sustain a concussion among a 3,207 community rugby players (15 to 48 years old). They wanted to identify if concussions occur at particular times during a season and what factors (e.g., concussion history, body size) may influence this injury timing. The athletes completed a questionnaire regarding their personal information and concussion history and then the authors tracked the athletes during games only (prospectively) over 3 years (2005 to 2007) to determine any concussive events. An athlete was said to have a concussion if they were hit in the head and exhibited concussion signs (e.g., dizziness, loss of consciousness), play stopped and the athlete was attended to, or the athlete left the field. Complete data sets were collected on 1958 players and 10% (187) of the players sustained 1 or more concussions. Within the first half of a season and over a full season (20 games) 7% and 14% of the cohort sustained a concussion, respectively. Factors that increased risk of sustaining a concussion include players with a previous concussion history, small body size (BMI < 27 kg/cm2), and those who trained for < 3 hours/week during the season. The authors’ report that the more time rugby is played, the more concussions occurred. This makes sense and highlights the need for medical personnel at rugby matches. Less training seems to increase concussion risk possibly due to lower levels of strength, endurance, and/or neuromuscular control. Similar to other studies a previous concussion was a risk factor to sustaining another. While this study found no difference in concussion incidence between the first and second half of rugby seasons the idea of concussion timing is interesting and raises questions such as do some concussions occur due to an accumulation of sub-concussive impacts over time (many impacts during a day or longer)? And do minor subconcussive impacts to the head and brain cause increased susceptibility over time? Some basic science studies have suggested the answers to these questions are yes and I imagine the subconcussive impacts session at the NATA convention will provide some important insights into these questions! 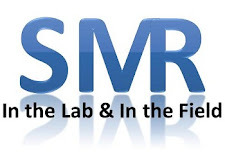 This isn't specific to this post per say but I just wanted to extend some admiration and gratitude to you guys at SMR. I am a junior athletic training student at UW-Milwaukee and I probably visit this website 3-4 times a week at least to read your articles. It is also very exciting to read guest posts by people such as Ryan Tierney. It really is amazing how much you can learn if you try. Ryan: One of the rugby players that I used to work with when I covered rugby suggested indirectly that the increased risk associated with training < 3 hrs/weeks during the season could be reflective of another important variable that the authors did not look at: poor tackling technique. Adam: I'm glad to hear you are enjoying the site. Hopefully, we can continue to provide quality posts and more guest posts. Enjoy!